ALL ABOUT CEIL: Traditional Coffee & Toasts. 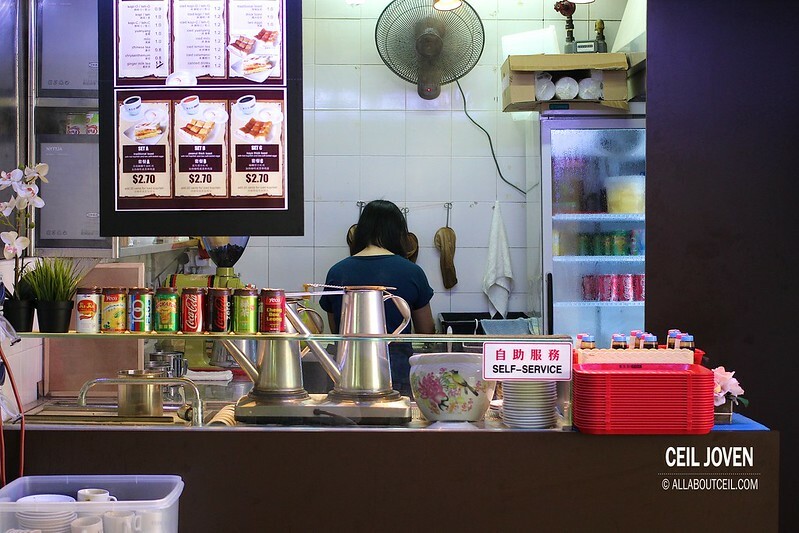 This is one of the newest stalls in this food centre. And, there was a queue of few people when i went for lunch. These people were queuing up for their coffee and toasts. It just got me to wonder what is so special about their coffee and toasts? 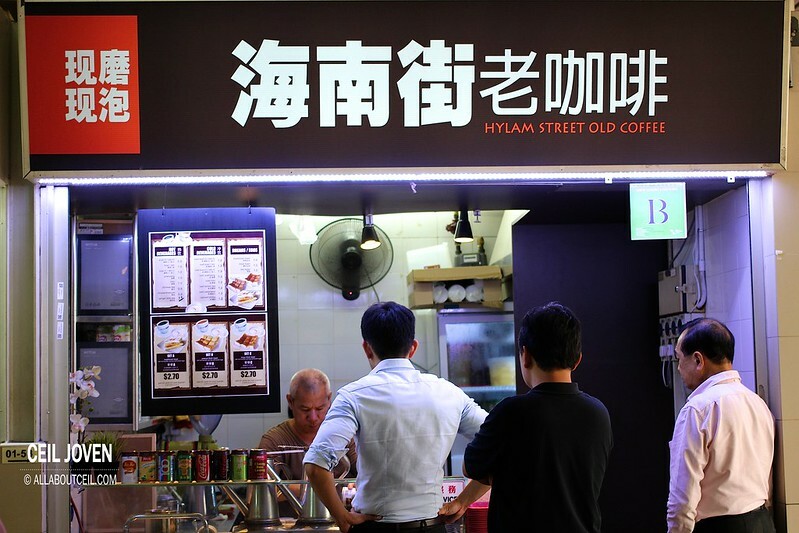 I noticed it has stated on their signboard that they grind the coffee powder on the spot. I observed the elderly Uncle took out the coffee beans from a container underneath the counter and threw it into the Coffee Grinder right behind him. He waited for the coffee beans to grind into the powder and collected it from the container that he placed slightly underneath the Coffee Grinder. He was then threw it in the traditional coffee pot then poured in the water and stirred for a bit. Next step was to filter out the coffee grounds using the coffee sock. 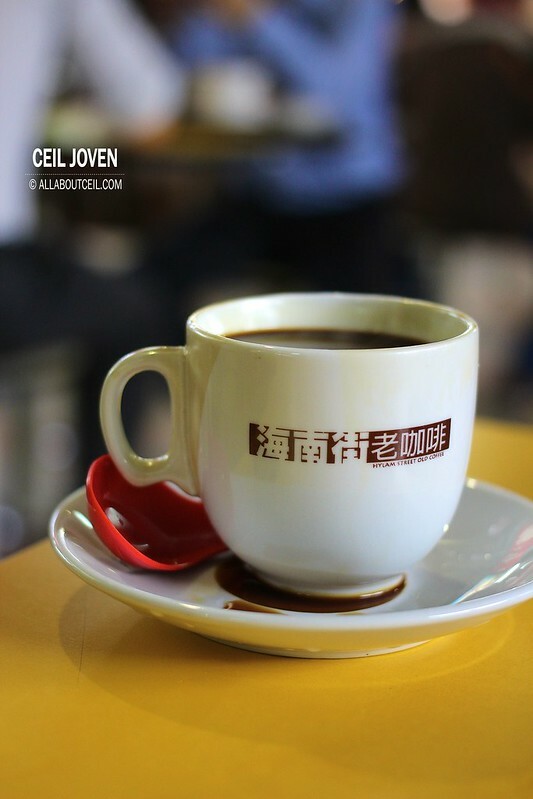 The coffee is then served in a traditional way by using the warm porcelain cup with saucer. He then prepared it by putting in the condensed milk and sugar into the porcelain cup. He poured the coffee and the hot water in at the same time. He then served it to me. My order of thick toasts was prepared at the same time by the lady. My coffee was served in a porcelain cup that got their stall name printed on. The strong undeniable scent of coffee was simply irresistible. First sip. The coffee has got a perfect balance of coffee powder, the condensed milk and the sugar coupled with a slight bitterness. 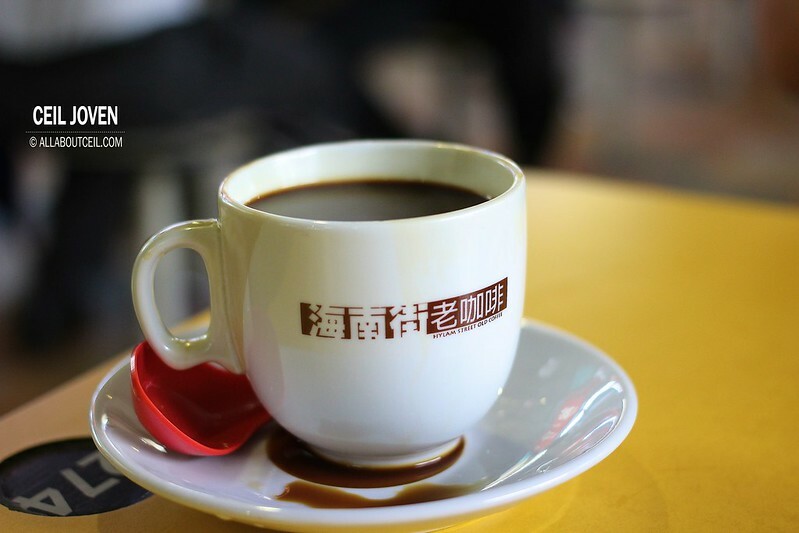 I would think this was a good cup of hainanese style coffee that has done right. It is reasonably priced at $1. 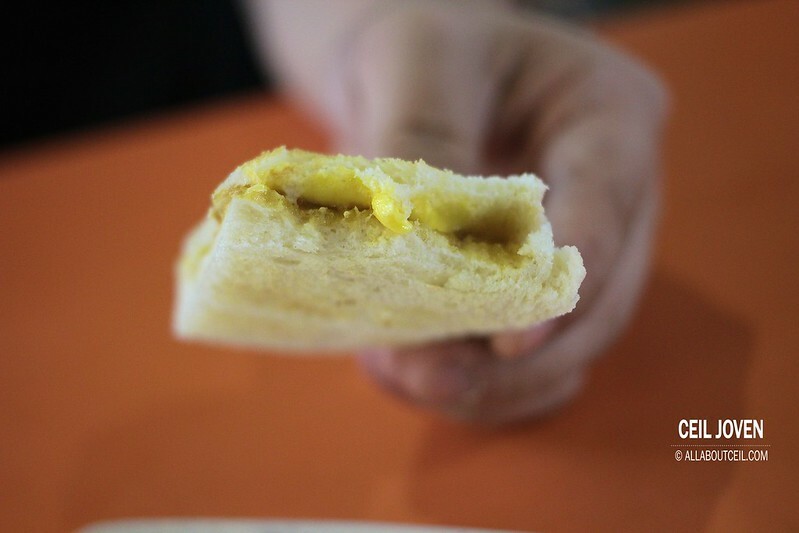 The freshly prepared Butter Kaya Toast paired with the coffee perfectly. 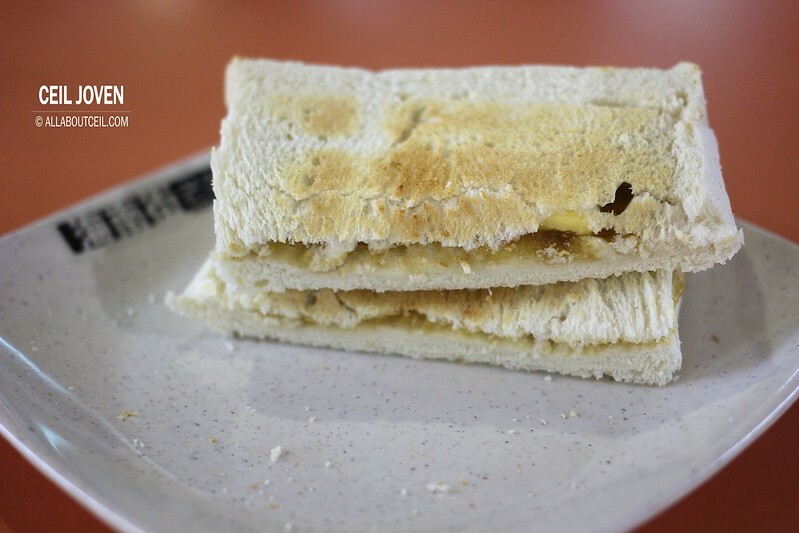 The toasted were lightly toasted then applied a layer of Kaya before placed the cut pieces of butter on it. It was then covered by another piece of toast and cut into 2 pieces. The butter was nicely melted. The Kaya has got just the right level of sweetness to complement. The toasts are priced at $1 too. 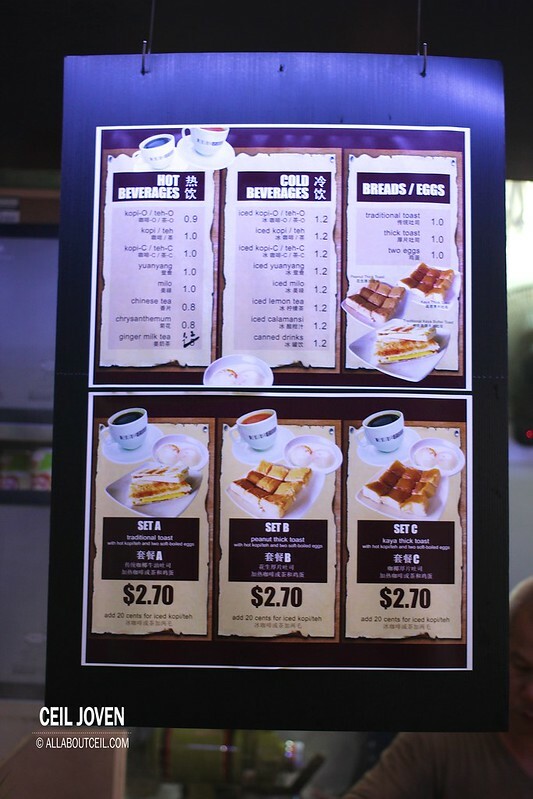 They serve the coffee / tea, toasts and 2 half boiled eggs as a set for $2.70. 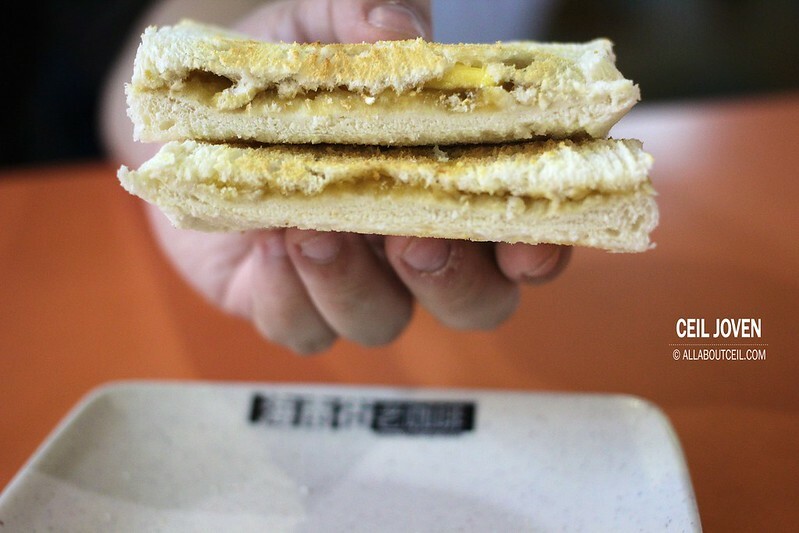 An good choice for a simple yet enjoyable breakfast. 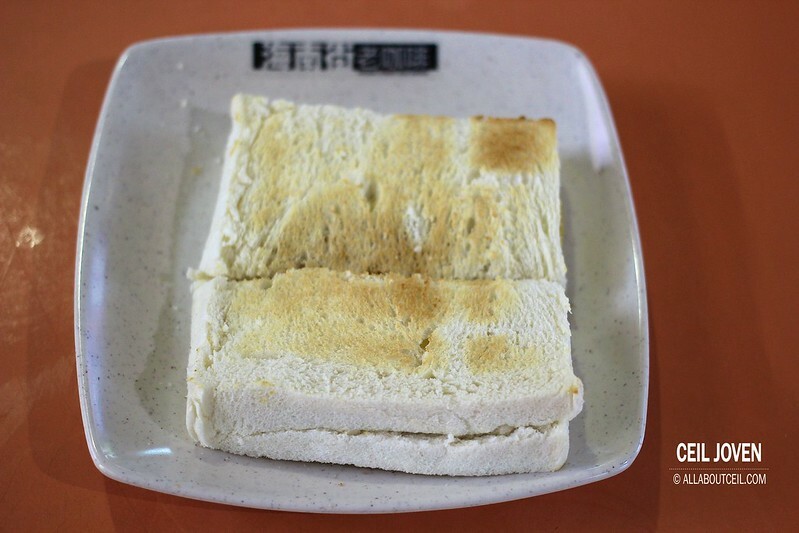 Block 6 Jalan Bukit Merah #01-53 ABC Brickwoods Food Centre SINGAPORE 150006. Copyright © ALL ABOUT CEIL by Cecilia Joven Ong. ALL RIGHTS RESERVED.. Theme images by Ollustrator. Powered by Blogger.